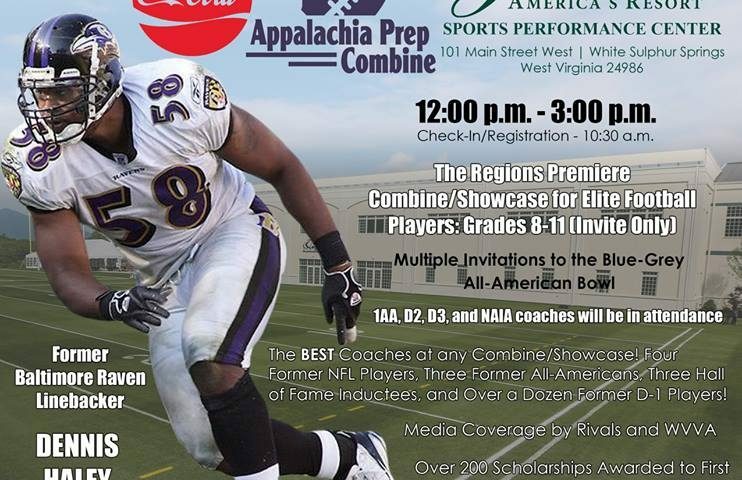 The top football talent spanning five states (WV, KY, TN, Virginia, and NC) are set to converge on The Greenbrier Resort in White Sulphur Spings, West Virginia on the 27th of April to do battle for the pride and honor of their respective states and to display their athletic wares to a host of college recruiters. 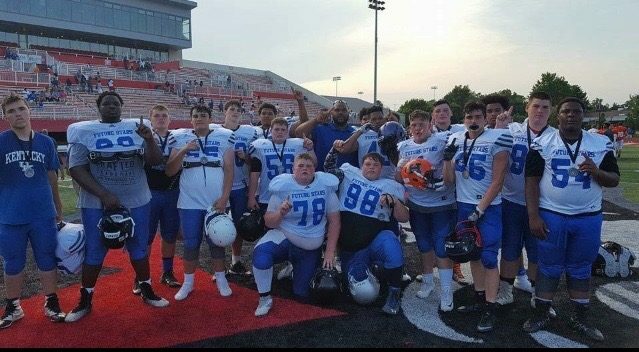 Kentucky will be well represented as most of the top Kentucky talent has been invited and await the opportunity. Particularly well represented will be the western-Kentucky area of 2021’s. The region’s premiere combine for elite football players is open by invitation only and will feature players from the Classes of 2020, 2021, 2022, and 2023. The combine will be conducted by former NFL players, former college All-Americans, three Hall of Fame inductees, and over a dozen former D-1 football players. Performances from the first combine, in 2018, netted for its invitees over 200 scholarship offers. 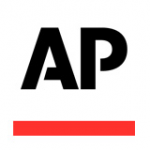 KPGFootball is excited to be among the media which will cover the event and we will be particularly interested in three particular KPGFootball, sophomore All-State team members. In an effort to whet your appetite we are going to profile just three All-Staters we believe will be in West Virginia come the 27 of April. Owensboro, Kentucky’s Austin Gough. Gough, who has been a bit out of the loop this particular offseason as he is busy playing for the Owensboro (Senior) High School’s varsity baseball team, has been both invited and is expected to be in attendance. Gough is a 6-1, 200 pound playmaker, ball-hawk of a linebacker who is equally lethal in coverage or coming up to make a play on the run from scrimmage. 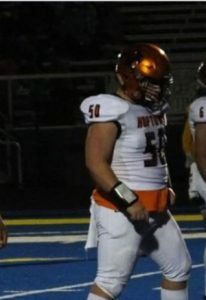 Gough is a two-time KPGFootball All-Stater, having made both our freshman team in 2017 and the sophomore squad in 2018 and was selected to the AP’s All-State Football team in 2018 (First-Team). Gough may be the best all-around athlete in the class of 2021 having won a state turbo-javelin championship previously, having competed in the triple-jump, having played basketball, having broken the OHS single-season record for tackles in 2018, and now playing catcher in baseball. Gough is a 4.6 second flat in the 40-yard dash guy who can play either inside or outside anywhere along the defense’s second level and doubles offensively in the offensive backfield at either fullback or tailback. This guy will have a big combine in West Virginia. Another Kentuckian blowing up big-time right now is WR Reece Jesse, Jr. from Hopkinsville, Kentucky. 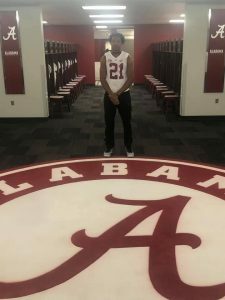 Reece unofficially visited Alabama just yesterday with the Elite-3 Foundation out of Nashville, Tennessee. Elite-3 trains an elite cadre of football prospects from around the middle-Tennessee-south-western Kentucky areas. Jesse made the KPGFootball sophomore All-State team in 2018 and was additionally honorably mentioned on the AP’s All-State team. Reece is a 6-4 inch, 182-pound wide receiver who is also a star on the HHS varsity basketball team. Jesse sports a 38-inch vertical, a nearly 80-inch reach, and is presently 6-4 and still growing. Jesse has plenty of separation speed as his leading all of Kentucky’s Class 4A, in 2018, in yards per reception (close to 30-yards per) would evidentially support. HHS lost an All-State caliber QB, Javier Bland, in 2018 to injury at the beginning of the 3rd quarter in the season’s 4th ball game which ham-strung Jesse’s seasonal numbers quite a bit. However, if you love frame, length, grace, agility, vertical explosion, and athleticism, this is one guy who has it in spades. Here’s another thing about Reece Jesse one would never expect…he finished 9th, in all of Kentucky, just this past month at the Kentucky Powerlifting State Championships in his weight division. You think you’re going to jam Reece Jesse with tight man-coverage? Come up in his chest and get you some, if you dare. William Long is another 2021 intriguing prospect. The 5-10, 250-pounder has just won his second consecutive Kentucky Powerlifting State Championship. He has been playing offensive center and the experts (if you will) are divided on whether he could play there in college. Something on which there is quite a bit of consensus is that he will play somewhere in college. William is a kid who can play anywhere along a defensive front as a zero to even three-technique guy. He has incredible quick-twitch, get off and leg-kick enabling him to blow right by offensive linemen before they even get out of their stance. Offensively, he is both fast and quick enough to play fullback in 21 personnel, H-back in aggressive spread, downhill running attacks, or he could play center where he was selected to the AP’s (First-Team) All-State Football Team in 2018. Like Austin Gough, Long is a two-time KPGFootball All-Stater having made both the freshman and sophomore teams. William is most talked about for his immense strength. Long has bench-pressed 405-pounds in competition, power cleans 260-pounds, pulls 525-pounds, and squats six-plates (585-pounds). We have linked two of the lifts for you. It’s okay; we wouldn’t believe it either without seeing it for ourselves. Long injured his pectoral muscle leading up to the Kentucky championships and was still able to gut it out and win anyway; so, until the APC, he will be shelved hoping he will fully heal. This is a prospect who can help himself and his hopes of playing next level quite a bit in West Virginia and he will be a tough customer in the reps at 185-pounds portion of the combine if he is healed. These are just three of the Kentuckians coming to the APC and we are excited to see what all of our boys do in competition. We literally could have included 20 or more kids in this article and it would have been too lengthy to expect anyone to read. We hope you will monitor the site both heading into and coming out of this all-important combine as we will endeavor to publish a thorough article about the performance of Kentucky’s finest on the other side of the event. Previous Post:Jaiden Jackson, Class of 2020, is he Murray’s top-remaining Tiger?